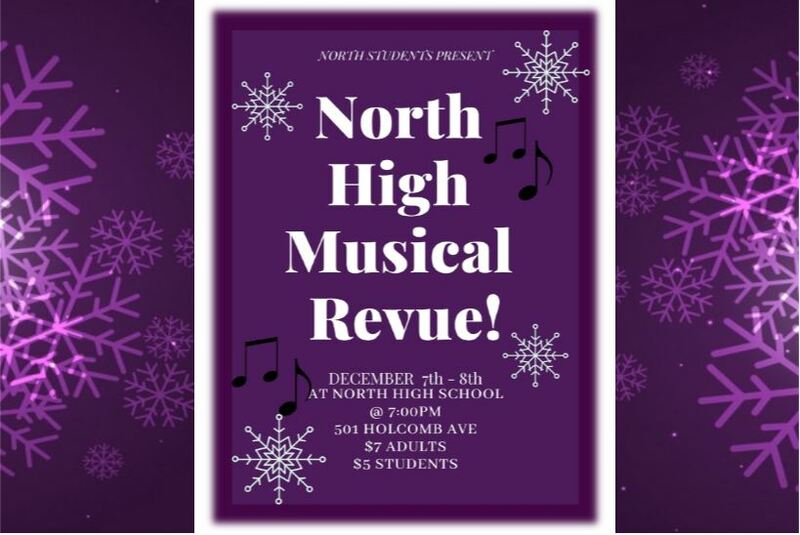 First original showing including many student selections, the North High Musical Revue includes something for everyone! 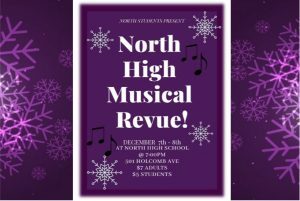 With nearly 2 hours of songs & scenes from many favorite musicals and some new selections you may have not seen before, you will be sure to have fun on Friday & Saturday night. TEN full acting scenes mixed with 8 songs from various choral groups including Treble Choir, A Capella Choir, many soloists, & more combine to make this unique evening event you’ll enjoy with your friends and family. Recommended for ages 10+, doors open at 6:30pm. Tickets are $7 for adults and $5 for students. We appreciate your support of arts education!